Blog « Stop the Untouchables. Justice for Sergei Magnitsky. During a trip to Lithuiania to meet with politicians and journalists, Hermitage Capital CEO, William Browder took time to speak to Lithuanian TV channel about the Sergei Magitsky case. Boris Nemtsov, the Russian politician, was assassinated near the Kremlin on 27 February 2015. Sergei Magnitsky, a Russian lawyer, uncovered the largest publicly-known corruption case in Russia involving the theft of $230 million, testified about it naming complicit officials. Sergei was arrested by some of the implicated officials, held for 358 days in pre-trial detention in torturous conditions, and killed in Russian police custody on 16 November 2009. On the 6th anniversary of Sergei Magnitsky’s murder, 16 November 2015, the Sergei Magnitsky Human Rights Awards were launched. The first Sergei Magnitsky Award for Campaigning for Democracy was awarded posthumously to Boris Nemtsov. Boris Nemtsov was a courageous man, and a true friend of the Magnitsky Justice campaign. 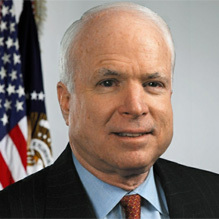 He was a steadfast supporter of our initiative to impose targeted Western sanctions on Russian officials involved in human rights abuse and corruption. Boris shamed weak Western diplomats who tried to appease the Russian leader, because he was convinced that the sanctions are the necessary, effective and morally right way to stand up to Russian official impunity. Both Boris and Sergei were optimists and believed in a brighter future for Russia. They show us that Russia produces great people with humanity and integrity. Their loss is a tragedy for Russia and the world. The fact that both were killed in cold blood, and in both cases those responsible have not been brought to account, is the call for action. We cannot bring Boris and Sergei back, but we owe it to them to carry on with our cause, to seek justice in the form of further Magnitsky sanctions on corrupt officials and human rights violators by countries around the world. U.S. Secretary Kerry submitted the 2013 Country Reports on Human Rights Practices to the United States Congress. The report on Russia says that human rights advocates believe the posthumous case against Sergei Magnitsky was fabricated and was retaliatory. The report also notes the failure of the Russian authorities to bring those responsible for Magnitsky’s death to justice. During the year authorities initiated criminal proceedings against a deceased individual. On July 11, a court found whistleblower Sergey Magnitskiy guilty of tax evasion in the first posthumous trial in the country’s history, in a case that human rights advocates believed was fabricated. On July 11, a court posthumously convicted Sergey Magnitskiy of tax evasion. The retaliatory case against Magnitskiy was opened after he attempted to expose large-scale government tax fraud and was investigated in part by individuals whom he had accused. He later died in custody after prison authorities denied him medical treatment. Despite widely publicized, credible evidence of criminal conduct that resulted in Magnitskiy’s death, authorities failed to prosecute those responsible. 16 December 2013. The Magnitsky Justice Campaign today launches a new project: «“Magnitsky Case Cover up Revealed in Persons and Documents». The first exposé of the new project features the role played by Russia’s Deputy General Prosecutor Victor Grin in the cover up of Sergei Magnitsky’s ill-treatment and death. 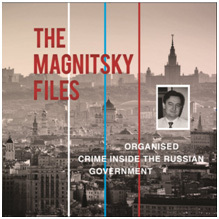 The aim of the new Magnitsky justice project is to expose the officials in the Russian government who concealed the criminal liability of those involved in Magnitsky’s torture and killing and the crimes he had uncovered, highlight available materials which reveal how the cover up is done, who is involved, and who contributes to it. The new documents show that Prosecutor Grin was the key official overseeing Magnitsky’s case while Sergei was in custody. Yet, in spite of his conflict of interest, after Magnitsky’s death he was assigned as the key official deciding on whether there were any violations of the law. A secret conclusion issued by Prosecutor Grin 18 months after Magnitsky’s death, on 20 May 2011, which stated that there had been no violations of the law by Interior Ministry investigators who mistreated Magnitsky in custody, [http://followmydata.net/SMRULE/D1910.pdf]. This decision was then used by the Russian Investigative Committee to justify their failure to prosecute Interior Ministry’s officials in the Magnitsky case. New materials also reveal that Prosecutor Grin also played a key role in the cover up of the thefts uncovered by Sergei Magnitsky. Firstly, Prosecutor Grin was directly responsible for the failure to conduct a proper probe into the original complaint about the frauds uncovered by Sergei Magnitsky. 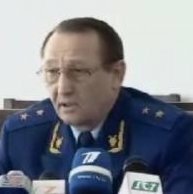 The complaint was filed by the Hermitage Fund on 3 December 2007, three weeks prior to the $230 million theft, with General Prosecutor Chaika [http://russian-untouchables.com/rus/docs/D250.pdf]. On 5 December 2007 this complaint was sent to Prosecutor Grin [http://followmydata.net/SMRULE/D1908.pdf], but instead of investigating it, the complaint was then forwarded to the same Interior Ministry officials who were named in the complaint and covered up. Secondly, it was Prosecutor Grin who signed the indictment for the $230 million theft which found that a “sawmill employee” (Victor Markelov) was responsible for the largest known tax rebate fraud in modern Russian history. The indictment signed by Prosecutor Grin exonerated the tax officials who approved the $230 million refund stating they were “tricked” by Markelov into doing it [http://followmydata.net/SMRULE/D1022.pdf]. If you have further verifiable information on prosecutor Grin, his involvement in the cover up and/or corruption, please send it to: contact@russian-untouchables.com. The Magnitsky Law adopted in the United States [http://www.treasury.gov/resource-center/sanctions/Programs/Documents/pl112_208.pdf] stipulates the imposition of targeted sanctions for those involved in the efforts to conceal the legal liability for detention, abuse or death of Sergei Magnitsky. Freedom House invites you to the world premiere of “The Magnitsky Files”, a 17 minute documentary film about the murder of Sergei Magnitsky and the disturbing links between organized crime and officials inside the Russian government. The movie is the result of a year-long investigation by Magnitsky´s colleagues and provides brand new evidence of fraud, conspiracy and murder by members of the Putin regime. The movie will be followed by a discussion with Senator John McCain, David Kramer, President of Freedom House, and William Browder, head of the global campaign for justice for Sergei Magnitsky. 400 New Jersey Avenue, NW, Washington, D.C.
Sergei Magnitsky, a young Russian lawyer, blew the whistle on a $230 million tax fraud involving senior Russian Government officials. He testified against the people involved, and was subsequently arrested, tortured, denied medical care, and murdered in custody when he refused to change or withdraw his testimony. Those responsible for the crimes he uncovered and those responsible for his death have yet to be punished. The movie being premiered, “The Magnitsky Files: Organized Crime Inside the Russian Government” goes into detail of how the Russian police who killed Sergei Magnitsky have been working on an intimate basis with organized criminals, how they kill people to cover up their crimes. “Justice for Sergei” film awarded by Cinema For Peace with the Award for Justice. In February 2012, Cinema for Peace Berlin 2012 gave the Award for Justice to “Justice for Sergei”, a documentary film about the murdered Russian lawyer Sergei Magnitsky. Remarks were made by the German Federal Minister of Justice Sabine Leutheusser-Schnarrenberger. “Justice for Sergei” was made by Dutch documentary makers Hans Hermans and Martin Maat and looks at the life of Sergei Magnitsky and how he died in custody at the hands of Russian government officials who were determined to silence him after he spoke out and testified against government corruption. On 21st March 2012, William Browder, CEO of Hermitage Capital Management, testified before the US Congress House Committee on Foreign Affairs about the Sergei Magnitsky case. Sergei Magnitsky was William Browder’s Russian lawyer who was falsely arrested, tortured and killed in custody for uncovering and exposing Russia’s largest ever tax fraud, committed by Russian government officials. William Browder was speaking at the Foreign Affairs Committee hearing entitled: ‘Russia 2012: Increased Repression, Rampant Corruption, Assisting Rogue Regimes’.